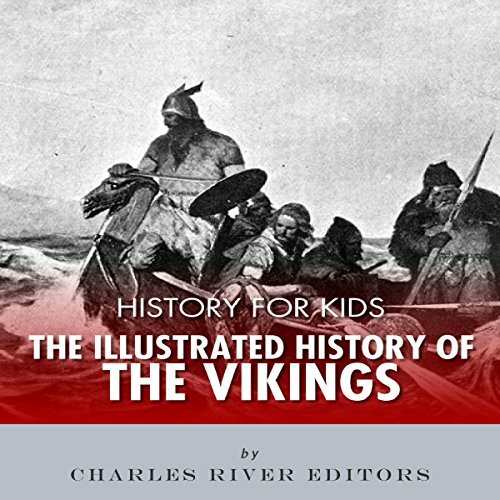 In Charles River Editors' History for Kids series, your children can learn about history's most important people and events in an easy, entertaining, and educational way. The concise but comprehensive book will keep your kid's attention all the way to the end. The commonly used term, Viking, for the trading and raiding peoples of Scandinavia, may have originated from Viken (the large bay leading to Oslo), or it may have come from the Old Scandinavian words vikingr (sea warrior) or viking (expedition over the sea). The people from the north were known in Western Europe at the time as Northmen or Danes, in England as Danes or pagans, and in Ireland as Finngall for those of Norwegian origin and Dubgall for those from Denmark. In the east, in Russia and in the Byzantine Empire, the Scandinavians were called Vaeringar or Varyags (Varangians) or Rus', the latter perhaps derived from the name Roslagen, a province in Uppland in Sweden.